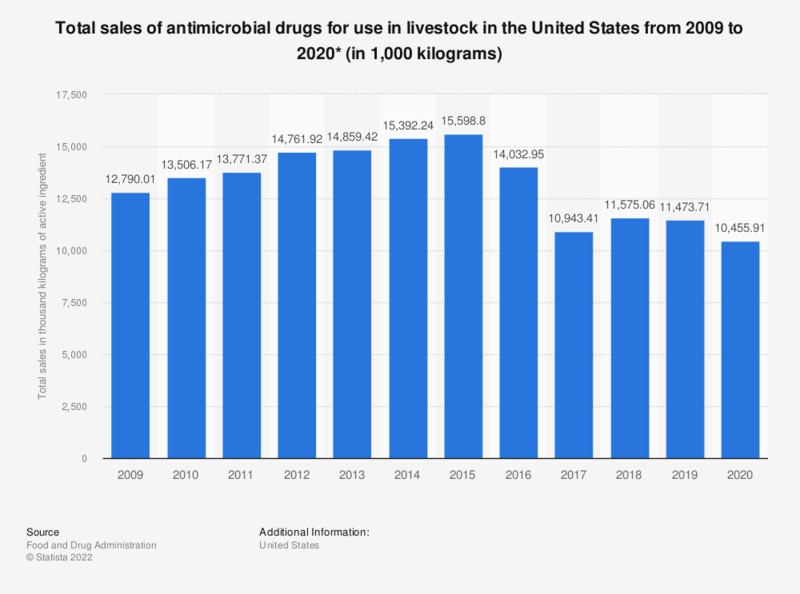 This statistic depicts the total sales of antimicrobial drugs for usage in livestock in the United States from 2009 to 2017, including domestic sales as well as exports. In 2017, some 10.94 million kilograms of active ingredient of antimicrobial drugs were sold in total. * Includes all domestic sales and exports. Includes antimicrobial drug applications which are approved and labeled for use in both food-producing animals (e.g., cattle and swine) and nonfood-producing animals (e.g., dogs and cats).